IAM District 141 Assistant General Chairman Gil Simmons briefs US Airways workers on contract talks. After more than two years of intense bargaining by your IAM negotiating committees, US Airways management continues to demand that US Airways IAM represented employees accept second-class contracts compared the industry and to merger partner, American Airlines. IAM District 141 and 142 negotiators met in person and via conference call with the IAM Transportation Department’s leadership last week to discuss strategy and to prepare for a probable proffer of arbitration. The IAM has indicated it would reject arbitration, which would then lead to a 30-day cooling off period. If both parties still could not settle a contract, IAM members at US Airways would be free to strike. The committees were also updated regarding National Mediation Board (NMB) Chairwoman Puchala’s efforts to bring both parties to a fair agreement. The NMB’s efforts, however, resulted in US Airways management affirming its demand that IAM members accept a contract that is both far below industry average, and inferior to the contract the same management team bargained for our brothers and sisters at American Airlines. Your negotiating committees, your District 141 and 142 leadership and your IAM Transportation Department leadership has loudly and clearly told the NMB and US Airways that you will not be sold down the river. The entire IAM membership is lining up in solidarity to support IAM members at US Airways in their fight to achieve the fair contracts they deserve. It is time for each and every IAM member at US Airways to step up and tell US Airways management that you will not accept second-class status. Tell your supervisor, tell Doug Parker and be sure to tell Al Hemenway, who sits at the table and insults you every time he insists you deserve less and should be down on your knees thanking him just for working at US Airways. Begin your preparations for the battles that may lie ahead. Your district representatives will be visiting stations and locations in the next several weeks to provide details and answer questions. Most critically, now is the time to come together in solidarity. 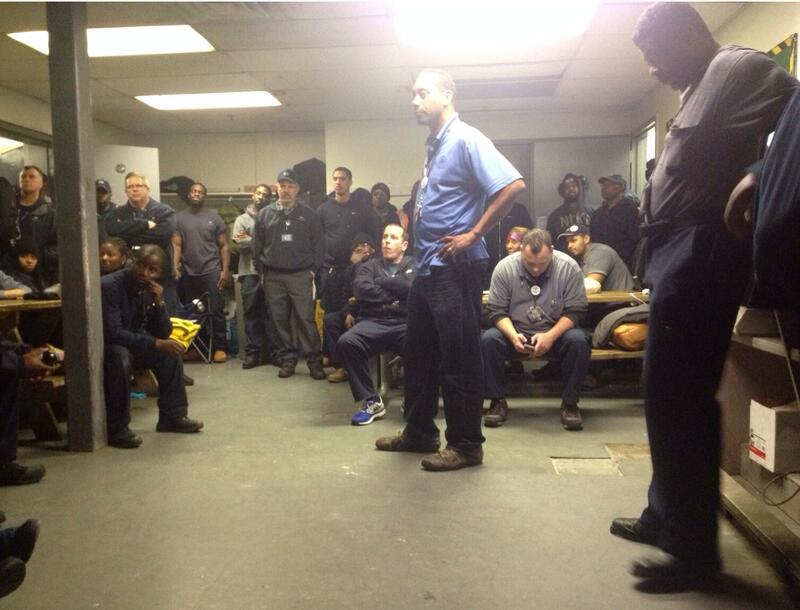 Every break table, every work area and every union hall should be filled with discussion of unity and solidarity. Brothers and sisters, only by sticking together, will we achieve the fair contracts we deserve. Thank you for your continued support and resolve. For more information and past contract updates visit IAM DL141 and IAM DL142.